We may not send nearly as many letters as we used to, but we remain fascinated by them as historical documents and because they provide insight into the private worlds of people we admire. And while email and other forms of instant digital communication might have made the purpose of a letter in its simplest form redundant, it's online that we're now able to investigate many centuries of letter writing. 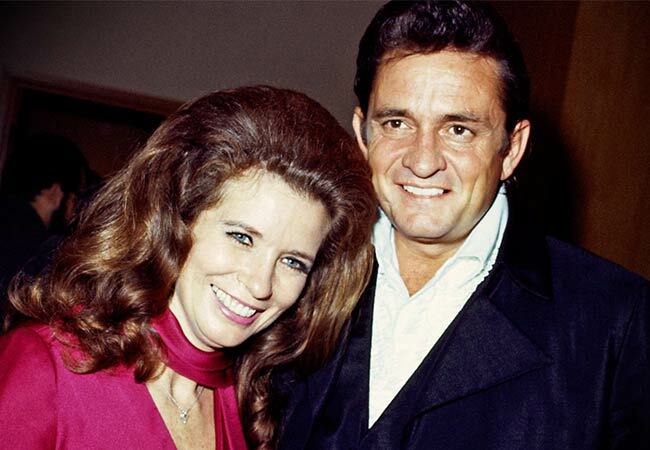 A 1994 love letter written by country superstar Johnny Cash to his wife June Carter Cash on her 65th birthday made headlines around Valentine's Day in 2015 when it was voted the greatest love letter of all time in an admittedly rather spurious online poll commissioned as a marketing exercise by an insurance company. But that doesn't take away from how wonderful the letter is. Sent from Denmark, the letter begins "Happy birthday Princess", before Johnny writes: "We get old and get used to each other. We think alike. We read each others minds. We know what the other wants without asking. Sometimes we irritate each other a little bit. Maybe sometimes take each other for granted. "But once in awhile, like today, I meditate on it and realize how lucky I am to share my life with the greatest woman I ever met. You still fascinate and inspire me. You influence me for the better. You're the object of my desire, the #1 Earthly reason for my existence. I love you very much." This 1995 response to a young French fan called Laurence comes with quite a backstory, as detailed on Letters of Note. 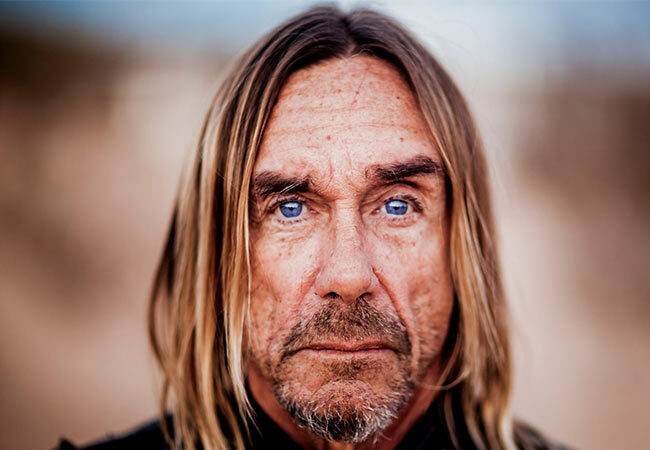 Laurence, 21, had written a 20-page letter to Iggy Pop telling the former Stooges frontman about "being the child of an acrimonious divorce with a string of social workers, lawyers, greedy estate agents and bailiffs at the door, the fear, the anger, the frustration, the love". Laurence didn't receive a reply until nine months later - the exact day she was being evicted from her Paris home, along with her family. A day later and she may never have got the letter, which reduced her to tears. Iggy wrote: "thankyou for your gorgeous and charming letter, you brighten up my dim life. i read the whole f****** thing, dear. of course... i want to see you take a deep breath and do whatever you must to survive and find something to be that you can love. you're obviously a bright f****** chick, w/ a big heart too and i want to wish you a (belated) HAPPY HAPPY HAPPY 21st b'day and happy spirit. i was very miserable and fighting hard on my 21st b'day, too. people booed me on the stage, and i was staying in someone else's house and i was scared. it's been a long road since then, but pressure never ends in this life. 'perforation problems' by the way means to me also the holes that will always exist in any story we try to make of our lives. so hang on, my love, and grow big and strong and take your hits and keep going. "all my love to a really beautiful girl. that's you laurence." It's frustrating when your heroes cancel tours, especially if you're fobbed off with a generic excuse sent out by a promoter or press officer. American singer-songwriter Fiona Apple, however, has always treated her fans to the personal touch and few of them in South America would have felt short-changed by her heartfelt reasons for postponing shows on the continent in 2012. Apple posted a long hand-written letter on her Facebook page, addressing "a few thousand friends I have not met" and explaining that her dog Janet had been "ill for about 2 years now, as a tumor has been idling in her chest, growing ever so slowly. She's almost 14 years old now. I got her when she was 4 months old. I was 21 then - an adult, officially - and she was my kid." She went on to say Janet, who she'd rescued in Los Angeles "with a rope around her neck, and bites all over her ears and face" had been been "the most consistent relationship of my adult life", adding: "She slept in bed with me, her head on the pillow, and she accepted my hysterical, tearful face into her chest, with her paws around me, every time I was heartbroken, or spirit-broken, or just lost, and as years went by, she let me take the role of her child, as I fell asleep, with her chin resting above my head." Apple concluded: "I just can't leave her now, please understand. If I go away again, I'm afraid she'll die and I won't have the honor of singing her to sleep, of escorting her out... I am staying home, and I am listening to her snore and wheeze, and I am revelling in the swampiest, most awful breath that ever emanated from an angel. And I'm asking for your blessing." 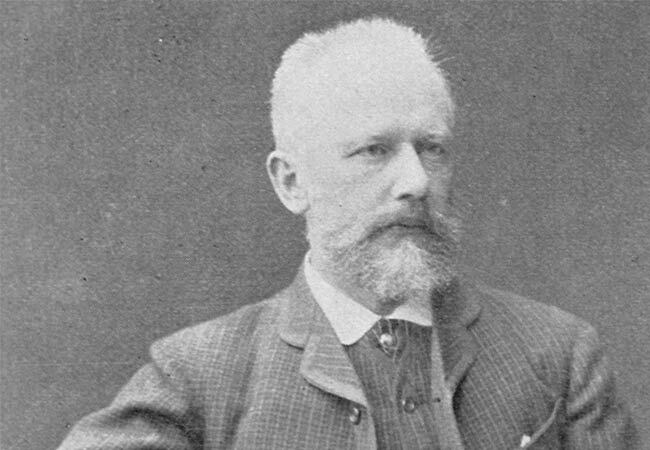 Pyotr Ilyich Tchaikovsky may be one of the most famous names in music, but he had to earn his reputation and, like us all, he was troubled by self-doubt before he broke through. He sent this terrific letter when he was 36 to Edouard Colonne at the Conservatoire Impérial de Musique in Paris and it ought to give encouragement to anyone doing whatever they can to achieve success. It's translated from French. "I don't know if my name has had the privilege of being known to you. I am a Russian composer based in Moscow, enjoying a certain reputation in my country, but until now almost completely unknown abroad. This winter, Mr Pasdeloups had one of my overtures played in one of his popular concerts. Apparently this piece provoked some whistles but didn't go unnoticed. People have written to me to tell me that many musicians have found my music quite interesting... I would like to rent one of the concert halls in Paris... As I would not presume that the public would pay to come and see me, I will bring the necessary amount of money... I will distribute free entry tickets." As you might know from the extraordinary time Scott Walker called into Mary Anne Hobbs's show to wish him happy birthday (warning: you might sob when you hear the clip), David Bowie knew how it felt to be on the receiving end of great kindness. And he was no stranger dishing out great kindness, too - often to actual strangers. 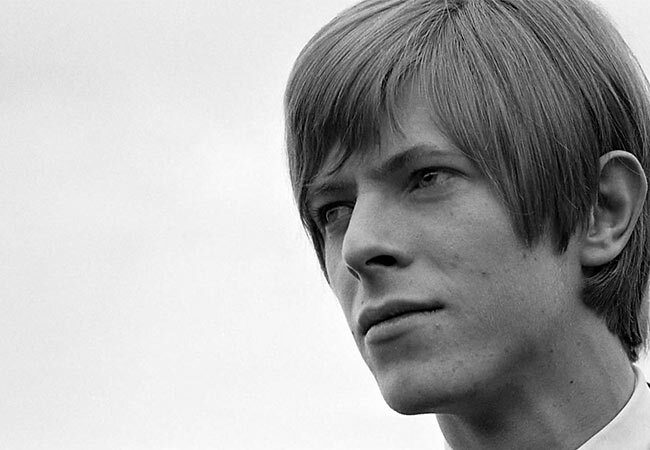 In 1967, aged 20, Bowie received his first piece of American fan mail - from a 14-year-old called Sandra Dodd, whose uncle had given her a promotional copy of Bowie's first album (he worked at a radio station). "When I called in this, my manager's office, a few moments ago I was handed my very first American fan letter - and it was from you," Bowie wrote. "I was so pleased that I had to sit down and type an immediate reply, even though Ken [Bowie's manager] is shouting at me to get on with a script he badly needs. That can wiat (wi-at? That's a new English word which means wait)." Bowie then answers Sandra's questions about his real name, birthday, height, and whether he'll ever visit America, before signing off: "Thank you for being so kind as to write to me and do please write again and let me know some more about yourself." Another letter from a pop star to a fan called Sandra, and here's proof enough that if you've got one from a musician of standing you could be quids in - to the tune of £1500-£2000 in this case. Sandra had fallen in love with George after seeing The Beatles in Llandudno in 1963, so she wrote to him, included a stamped-addressed envelope, and received a lovely response that was read out at her school assembly. But is it genuine? In 2014, she took the letter to be assessed by Antiques Roadshow expert Hilary Kay. The letter starts: "Thanks for your letter, and also your kind comments - ta! I had a great time in America, but I didn't like New York as much as I expected. It is a big, unfriendly and lonely kind of place." Kay points out that The Beatles didn't visit the US until 1964. However, George and his brother Peter had been to the country in September 1963 to visit their sister, suggesting the letter is genuine. The autographs of the four Beatles that George included are more suspect, though - George signed them all, as he was prone to do as something of a party trick.